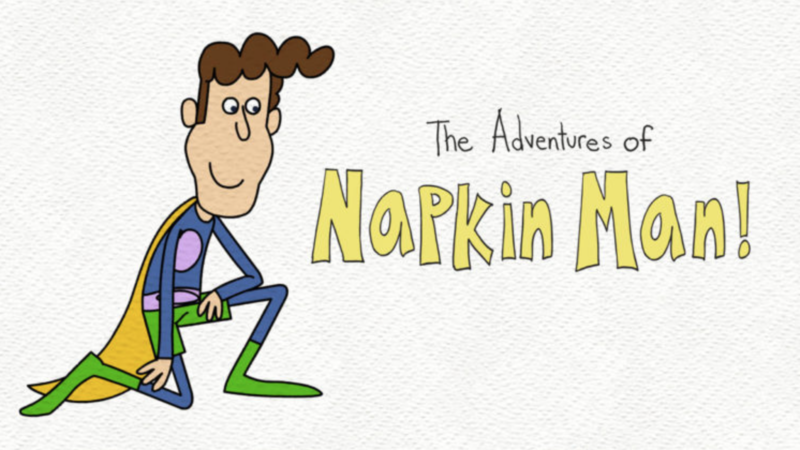 THE ADVENTURES OF NAPKIN MAN! Producer, Songwriter, Composer, Musician and Engineer for 5 Episodes during Season 3 (“Familysaurus”, “Carnival King”, “New Classmate Pt. 1”, “To Paint Or Not To Paint” and “Go With The Flow”). The Adventures of Napkin Man, "Go With The Flow"
The Adventures of Napkin Man, "Familysaurus"
The Adventures of Napkin Man, "New Classmate Pt. 1"
The Adventures of Napkin Man, "To Paint Or Not To Paint"
The Adventures of Napkin Man, "Carnival King"